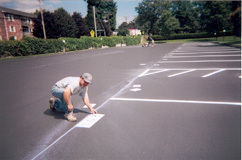 Sealcoating and Striping RI, MA – D’Agostino Sealcoating & Striping, Inc. 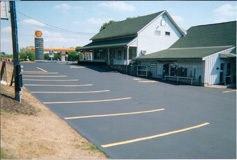 Welcome to D’Agostino Sealcoating & Striping, Inc.
D’Agostino Sealcoating & Striping, Inc. is a fully registered and insured, owner-operated company that has been providing quality service to Rhode Island ( RI ) and Massachusetts ( MA ) customers since its establishment in 2000. Our state of the art equipment reflects the latest technology, and our commitment to using only quality products and materials provides each customer with excellent results at competitive prices. Our employees are all highly qualified and experienced. 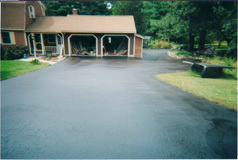 The owner, Steven D’Agostino, has been working in the paving industry for over 35 years and remains personally involved to insure customer satisfaction. D’Agostino Sealcoating & Striping, Inc. is an accredited member of the Better Business Bureau.